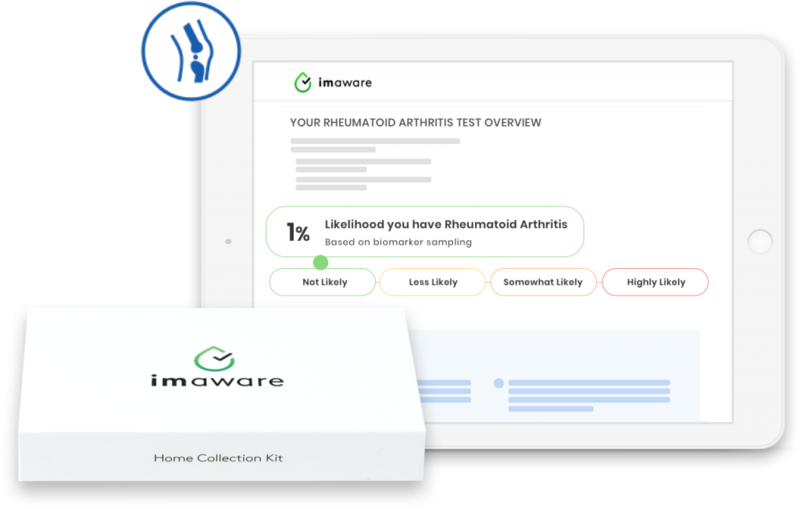 The Rheumatoid Patient Foundation is excited to announce a partnership with imaware™, a new at-home health test for rheumatoid arthritis. The imaware™ health test allows people to take their healthcare into their own hands and order a screening test for rheumatoid disease biomarkers, without a doctor or lab visit. Simply order a test online, receive a kit to do a finger prick and collect a small sample of blood, mail the kit back and receive your results within days, in an easy to read and easy to share report. imaware™ understands the importance of early detection in rheumatoid disease and is working hard to make that easier. 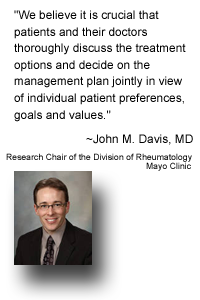 The best health outcomes for people with rheumatoid disease (PRD) have been consistently linked to getting early diagnosis and treatment. Unfortunately, RD can be a tricky illness to diagnose, with symptoms that come and go or that are seemingly unrelated. It takes the average American two years to get diagnosed. By doing an at-home test, you will be able to provide your results to your doctor and more easily advocate for your own healthcare. 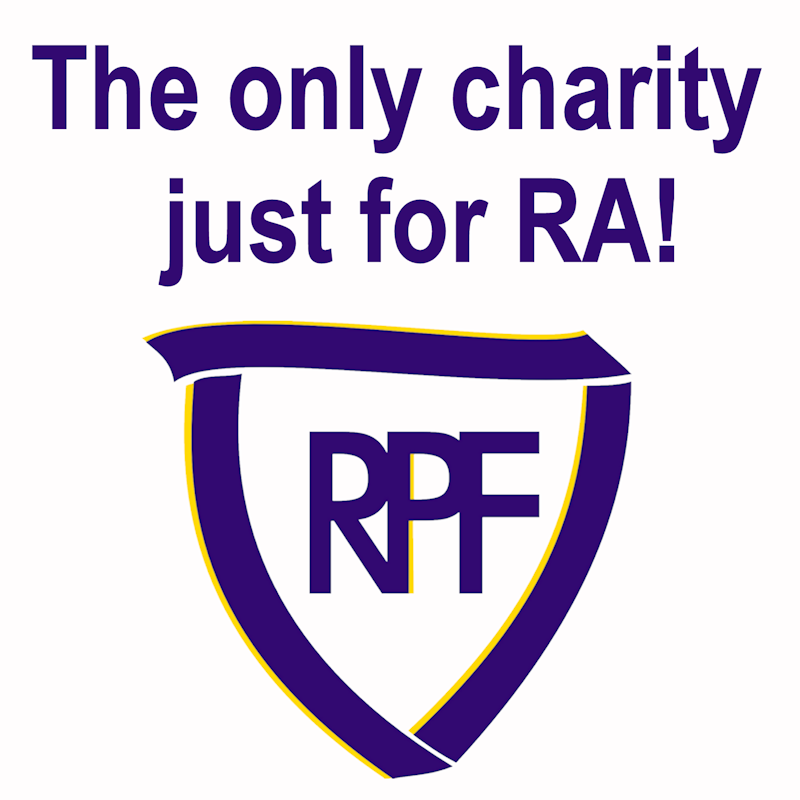 RPF’s mission is to improve the lives of people with rheumatoid disease, and a big part of that includes finding ways to get PRD diagnosed and treated as soon as possible. The imaware™ test looks for certain antibodies in your blood that may be indicative of Rheumatoid Disease. One of the antibodies the test screens for may even show up in the results 6-12 months before you feel the onset of symptoms. This could be truly life-changing for PRD, allowing them to seek early treatment to hopefully prevent progression of the disease and, hence, damage and disability. We are looking forward to working with imaware™ to advance earlier diagnosis of RD. 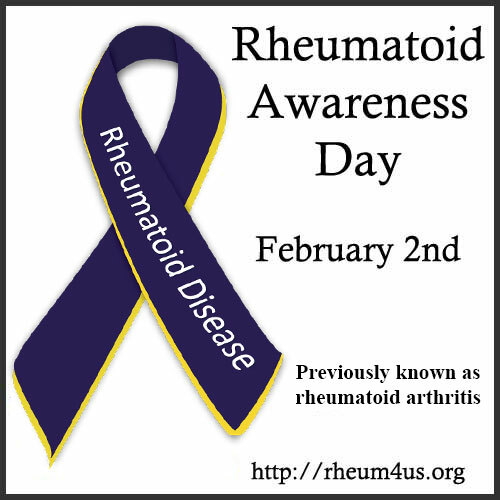 imaware™ is committed to RPF’s mission and will be supporting our awareness and education programs so that together we can work toward the day when no one suffers from rheumatoid disease.